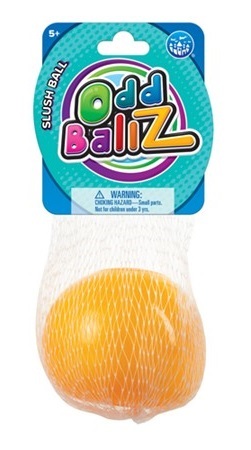 OddBallz Slush balls are popular fidgets, stress-reducers and hand strengtheners for kids who love to squeeze. 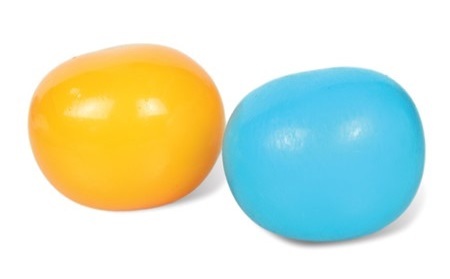 Filled with tiny microbeads, this unique stress ball has a feeling unlike any you have experienced. Feels like slush when you squeeze it... highly soothing! 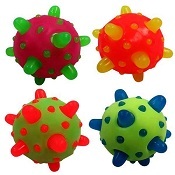 This slushy stress ball is a great tactile toy for keeping your hands occupied. The ball is made of a translucent rubber material, stuffed with minuscule microbeads that look like snow and feel like miniaturized bean bag chair filling! Give it a squeeze for a strange but satisfying sensation as the interior material stretches the rubber and appears at the surface. Safe to throw and catch, this makes a great stocking stuffer, and can be used as a therapy toy for children with autism. Excellent for the science fan in your family! 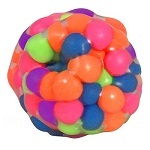 Kids LOVE these fun squishy slush balls! Outer material is Hyperflex, and inner material is plastic micro beads.